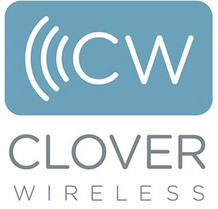 Clover Wireless, a division of Clover Holdings Inc., is a global provider of private label trade-in, buyback and repair services offering vertically integrated customizable solutions for carriers, retailers, OEMs and corporations worldwide. Clover Wireless is focused on supporting clients’ brands through innovative programs including customizable point-of-sale trade-in solutions, enterprise buyback programs and contract repair services. Clover Wireless is an ISO14001 registered company and offers its private label solutions in a secure and environmentally sound manner.